Liverpool are four points clear at the top of the Premier League at Christmas. Mike Nevin reflects on a drenched but glorious Friday night. It seems nothing can stop this remarkable Liverpool side in its relentless pursuit of a first Premier League title. The Reds will sit proudly top of the tree over Christmas after another mature, consummate away performance in awful conditions at Molyneux. The rain was torrential, biblical even but despite the endless deluge, Liverpool’s class shone throughout. The home support, which seemed intent on exhibiting all the worst traits of the modern football fan, was well and truly put in its place. “Feed the Scousers, let them know it’s Christmas time” rang out from the Wolves fans but in the end the words of the emptiest of taunts were rammed back down their throats as Liverpool toyed with their team. The architects of this victory were familiar; the inspired Mohammed Salah with yet another deadlock-breaking goal, Virgil Van Dijk again an imperious, commanding presence at the heart of the defence and an unflappable Alisson Becker in goal who repelled the home side’s best efforts when Wolves threatened briefly before half-time. Van Dijk is the totem of this Liverpool team, his command of the penalty area absolute. For supporters brought up on the legend of the original colossus Ron Yeats, the Dutchman is almost a reincarnation of Bill Shankly’s talisman. As dominant as Yeats in the air, at the same time he brings all the calm assurance of Alan Hansen and comfort on the ball of Mark Lawrenson. With every masterful performance Van Dijk is creating his own folklore and fostering a growing adulation from supporters. If it’s possible to be critical of Van Dijk it is that for such an enormous presence he should score more often but he partly made amends here with a goal that secured another crucial three points. Ghosting in behind the Wolves’ rearguard he stretched to volley home left-footed, steering Salah’s whipped cross past Rui Patricio. His song to the tune of Dirty Old Town has fast become a cherished addition to the Kopite songbook and it echoed round Molineux as the Liverpool supporters sang and danced in the rain. Liverpool’s early dominance was built on the solid foundation of Fabinho and Jordan Henderson as Jurgen Klopp selected his tenth different midfield combination in eighteen league games. The captain, chastened by missing out against Manchester United, was back at his best on his 300th appearance; his passing crisp and assertive, his tackling at its most vigorous and his flair for anticipation and interception at its most honed. Allowed greater freedom by Henderson’s insurance, Fabinho again excelled in a more advanced role and it was his intervention that provided Salah with the opening goal. Combining with Sadio Mane, Fabinho’s drive into the right side of the penalty area and cut back across goal was anticipated expertly by Salah. The Egyptian has developed a real poachers’ instinct of late and his expert movement away from his man into space was preceded by the deftest of clips with the outside of the left-foot. Salah’s speed across the ground was incredible all night, his appetite for the ball never sated as he ran tirelessly into every corner until the last of 95 minutes on the draining, sodden turf. 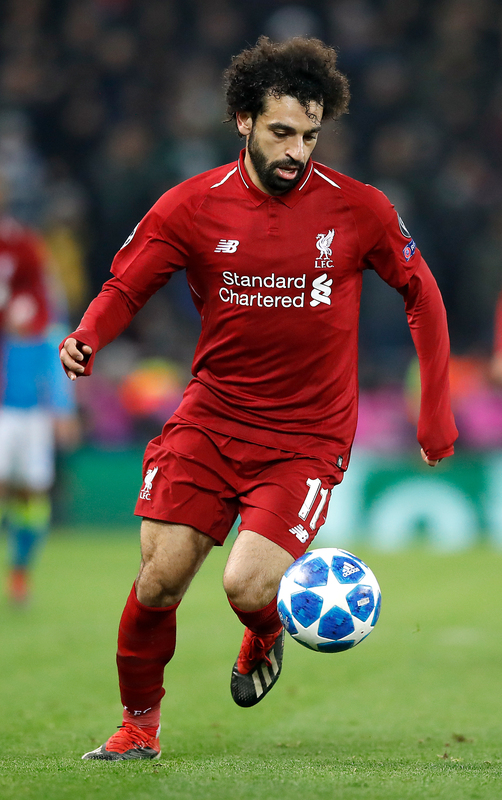 For all his impudent gifts; his eye for goal, his wizardry with the ball at his feet, perhaps Salah’s most remarkable quality is a lust for the cause and an unimpeachable work rate. The greatest Liverpool teams were built on industry and commitment and in Salah, Klopp possesses the ultimate in zealous graft and endeavour. From the moment Van Dijk added to Salah’s opener the result was never in doubt and still time enough for the travelling fans to practice their repertoire of hymns. This Liverpool team is transformed from the days of Klopp’s early tenure when even a two goal lead wasn’t enough to feel secure in the closing stages, but now there is only hunger for defensive perfection. The burgeoning confidence that this could finally be Liverpool’s year is bolstered by the remarkable fact that a team previously renowned for shipping goals now suddenly boasts the joint best defensive record at Christmas in the Premier League era. Molineux holds a special place in the hearts of older Liverpool fans, being the venue where Bob Paisley’s first league championship win was clinched back in 1976. That night thousands of Liverpudlians poured from the terraces to celebrate on the pitch with their heroes after they completed a famous 3-1 victory. In the dressing room afterwards Paisley was soaked in champagne and while Jurgen Klopp was drenched only by driving rain at the same ground last night, the potential for more championship celebrations next May remains the most tantalising of prospects.